My Review: JT walked out of Betsy's life five years ago and she's spent every moment trying to forget him. When she runs into JT at the rodeo, all those feelings of heartbreak and lost love come rushing back. Is JT telling the truth when he says he's ready to settle down? Or will he choose the rodeo over Betsy once again? 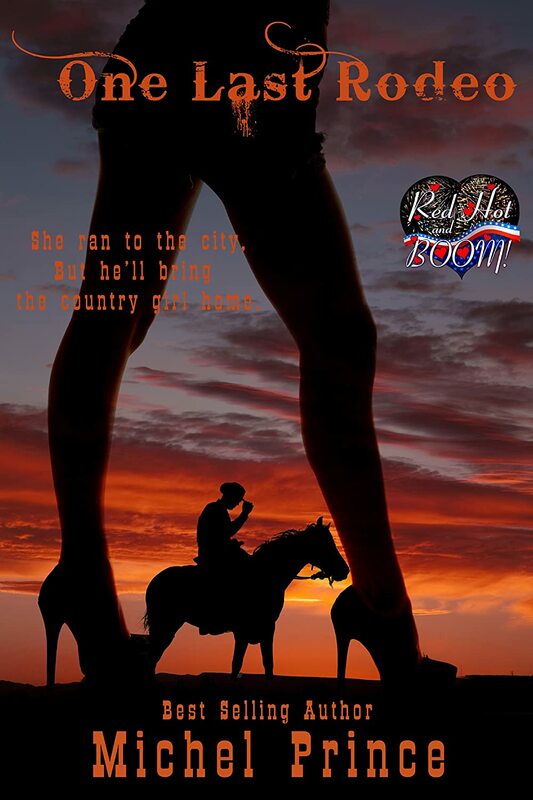 One Last Rodeo is a hot, firecracker of a story. It's a quick read that lovers of spicy romance will enjoy. Betsy is a cute, take-charge sports reporter and JT is pickup man who longs to retire from the rodeo circuit. After Betsy's heart was broken, she is hesitant to trust JT and tries to fight her re-emerging feelings for him. An unfortunate accident forces JT to break yet another promise to Betsy, and she swears she's finished with him for good. There's great chemistry between JT and Betsy and some pretty hot sexual tension. And yes, there are lots of cowboy romances out there, but Michel Prince adds a multicultural touch to this story. The Queen of Interracial Romance, Prince brings diversity to the table in nearly every book she writes and One Last Rodeo is no different. It features the sort of snappy dialogue typical in a Prince book and the types of characters you know you could be friends with if you met them in real life. In short, it's a must-read for romance lovers who are looking for a hot summer read.